If you have the choice, however, we suggest that you stay at least one night on the island. Circle island tours are perfect if you want to sit back, relax and enjoy the highlights without the effort and stress of planning. The downside is the price. Especially if you are traveling with a larger group (for example, your family) they can get expensive fast. Circle island helicopter tours are in our opinion among the most spectacular tours on Hawaii. They are not cheap but worth the splurge and let you see the Big Island in an unforgettable, once-in-a-lifetime, way. This includes: waterfalls, dramatic cliffs, volcanoes, pristine beaches, lush rainforest, and (if the lava is active) lava lakes and/or flowing lava! Read more about helicopter tours on the Big Island. Tours in Kona: Hawaii Forest & Trail organizes a 12 hour excursion that takes your around the Big Island in 10 to 12 hours. During the tour you will see highlights such as a lava tuve, a Kona coffee Farm, the Hawaii Volcanoes National Park, Rainbow falls, and more. Pick-up and drop-off along the Kona coast. Tours in Hilo: If your base is in Hilo and you want to see the sights in a day, we highly recommend Marylou’s private tours (groups up to 6 people). If you are taking things into your own hands the first thing on your list should be renting a car. 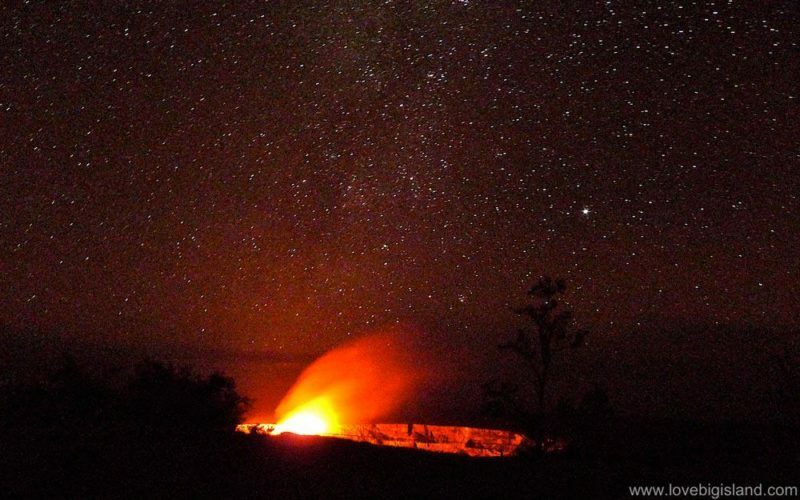 The ‘must see’ destination for your one day visit here is without doubt the most active volcano of state: Kilauea. With good planning you can add one other (or two, if you really want to push it) trip(s) to your day. Scroll down for the best options for this extra adventure. The Hawaii Volcanoes national park offers a spectacular view on one of the world’s most active volcanoes. 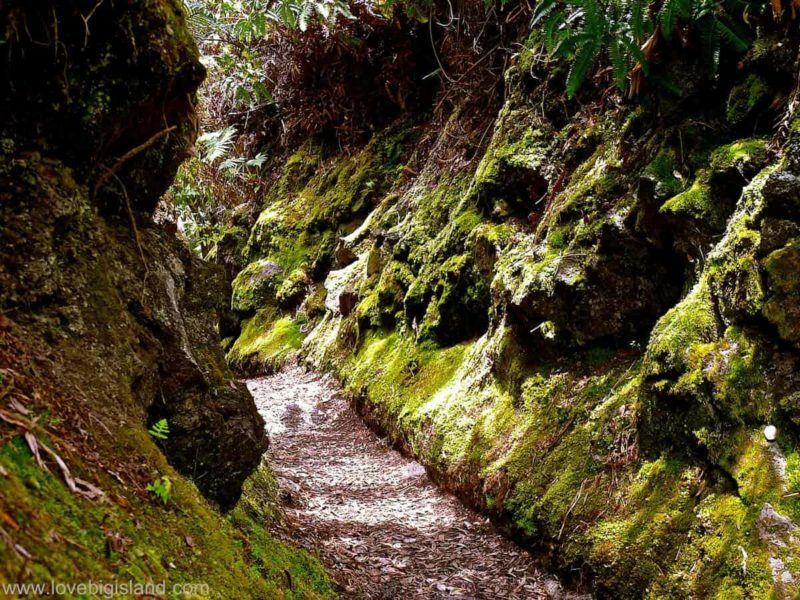 Drive up the national park and spend your day exploring lava tubes, descending into craters that were full of lava only decades ago and exploring trails in the lush rainforest in the park. If you happen to be on the east (Hilo) side of the Island, you could also try to see the lava flow. To avoid disappointments first call to the national park at (808) 985-6000 to check to current lava conditions. Read our guide on visiting the lava. One extra adventure [a]: Seeing Hawaii from the Sky! If time is your bottleneck on Hawaii, consider using it on a Helicopter tour to see as many of the Big Island Highlights. Seeing Hawaii from birds eye perspective is one of the best ways to spend your money if you only have one day. Read more about Helicopter Tours on Hawaii. If you like to spend you day in leisure on a white or black sand beach, don’t forget to rent some snorkeling equipment and to take sunscreen! 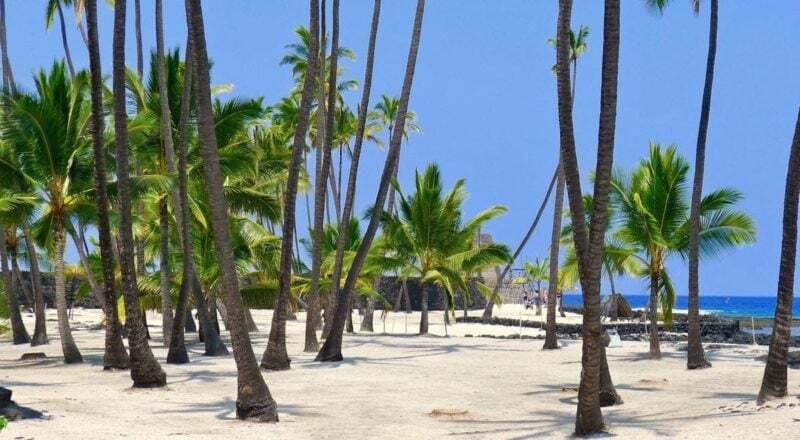 If you are on the Kona side of the island, your beach of choice is Kahalu’u Beach Park. This beach is often nicknamed “turtle beach” and is a great place for leisure and snorkeling. If you are on the Hilo side of the Island there are a couple of beaches just east of Hilo. Of these, the closest is Onekahakaha beach park. This is a beautiful white sand beach with good swimming opportunities. More to the east you can find Leleiwi beach park and Richardson’s beach. These beaches can offer good snorkeling if the ocean is calm. If you don’t mind to drive further go to Punalu’u Beach Park. This is the most famous black sand beach on the island with great swimming and snorkeling. 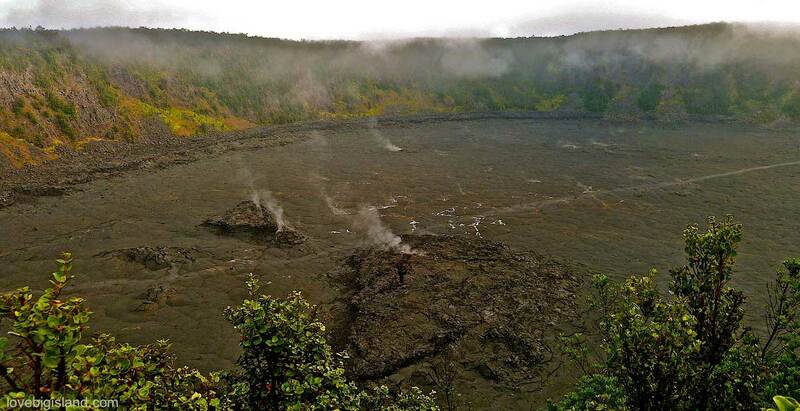 It is located about two hours southwest of Hilo past Volcano Village (Highway 11). Here you can read more about going to the beach in Hawaii. Go to Waipi’o valley if you want to be surprised by Hawaii’s highest waterfall, a black sand beach, and the lush rainforest. Waipi’o valley is also known as the Valley of Kings, and you can find it at the end of Highway 240. Take notice: to enter Waipi’o valley by car you need to have a 4WD car. You can also join a tour going down to the valley floor or hike down. Hiking down (and up again) means a challenging 3/4 hour hike down and up the valley wall. You can read more about the Waipi’o valley hike as part of our favorite 5 best short hikes on Hawaii. 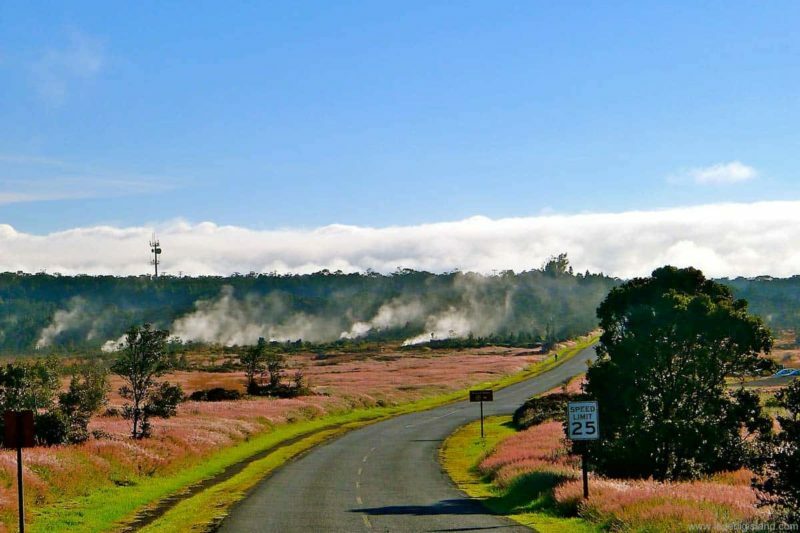 If you already have an idea about what activity you want to do during your one day on the Big Island, check out our guide for 20+ outdoor activities!